Initiated by the Fares Center for Eastern Mediterranean Studies and the Fletcher Culinary Diplomacy and Food Policy Group, the Fletcher Food Symposium seeks to provide a forum to deepen the Fletcher approach to food studies. It is contextualized through a conversation on culinary diplomacy and tailored to Fletcher disciplines and specializations: food boundaries and identity shaped by security, human security, conflict resolution, and peacebuilding. Learn more about the 2017 inaugural Fletcher Food Symposium: Cuisine and Identity in the Eastern Mediterranean. 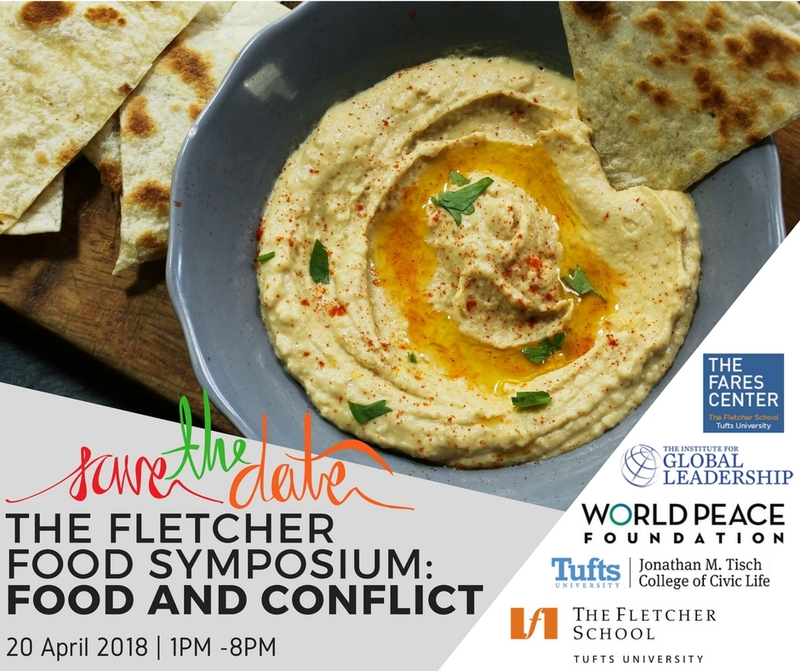 Learn more about the 2018 Fletcher Food Symposium: Food and Conflict. Learn more about Culinary Diplomacy and its Fletcher connections. Interested in participating in Fletcher’s approach to food? Please reach out to the Fares Center or the Fletcher Culinary Diplomacy and Food Policy Group.